We perform repair or refurbishment services centrally at our headquarters in Warren, Michigan. Technicians at ICR locations worldwide complete training and development at our central facility to ensure each person performs to the highest quality standard. While ICR technicians specialize in servo motors, they also possess the knowledge and expertise required to handle all types of industrial motors. Motors within the manufacturing industry stem from a variety of types; general-purpose motors of the DC and AC variety crank out power when operating steel rolling mills or even paper machines. 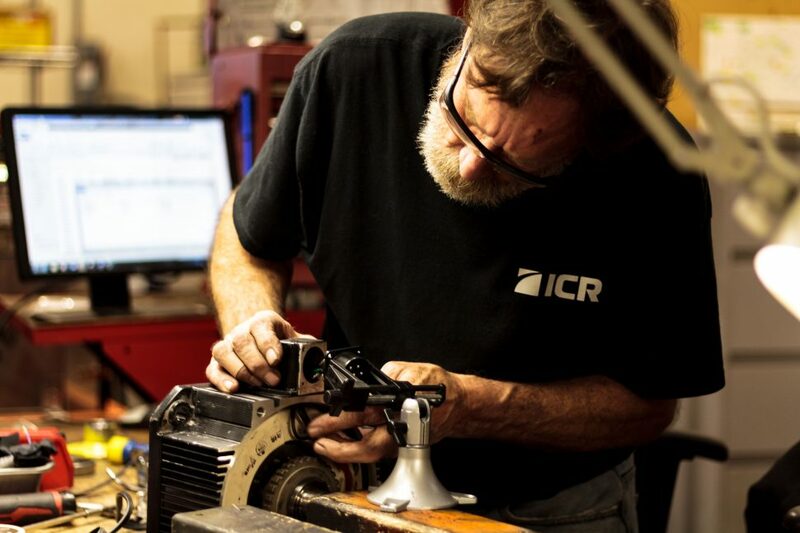 ICR’s motor repair technicians possesses decades worth of experience repairing and refurbishing servo motors, spindle motors, electric AC motors and DC motors from a variety of manufacturers. We take pride in the quality of our motor testing We believe in quality and proper testing is essential to a completed repair job. Industrial motors operate during peak times with high speeds sometimes upwards of 10,000 rpm. Reliable operation of machines become critical if motors cannot function properly at high speeds. To ensure certification of reliability, ICR works with closed loop testing. The capabilities of most repair companies don’t allow them to run motors under any other condition except on an open loop, fixed 50Hz source. Our engineers have deemed this type of testing inadequate. Bearing lubrication is essential when repairing industrial motors. Lubricating bearings at the proper intervals can avoid a drop off in bearing life. Following this best practice allows users to avoid up to an 80% reduction of wear and tear over the life cycle of motor bearings. Designed in-house by ICR engineers, our state-of-the-art dynamometer allows our repair technicians to certify our motors and drives with a full load test. Our specialized engineered in-house custom built test fixtures allow us to determine the precise amount of balance required to eliminate motor vibration. This certification system lets us guarantee our repaired industrial motors and drives will operate reliably and achieve longevity. We are confident in our work and expertise, that we guarantee our repairs with our one-year in-service warranty. ICR engineers have developed and continually improve our testing processes to incorporate closed loop testing. Spindle motors, in particular, operate at extremely high speeds, especially when powering a CNC control system, so it’s important to allow motors to run up to their maximum reached speed co-dependent of mounting. Closed-loop testing ends when our technicians confirm feedback sensors function properly, and vibration doesn’t occur when repaired spindle motors have reached their maximum speeds.